Back in the day, a new product might have been shouted about in the streets – so how do we transport that to a modern setting? Email marketing is the answer. Email is an essential tool, as it speaks to your customers instantly and directly. Plus, it’s time-efficient, cost-effective, 100% measurable and makes your business stand out. We can build campaigns to engage with your current customer base, so you’re always fetching fresh material - or, we can reach an entirely new batch of customers. Perhaps you'd like to combine the two! 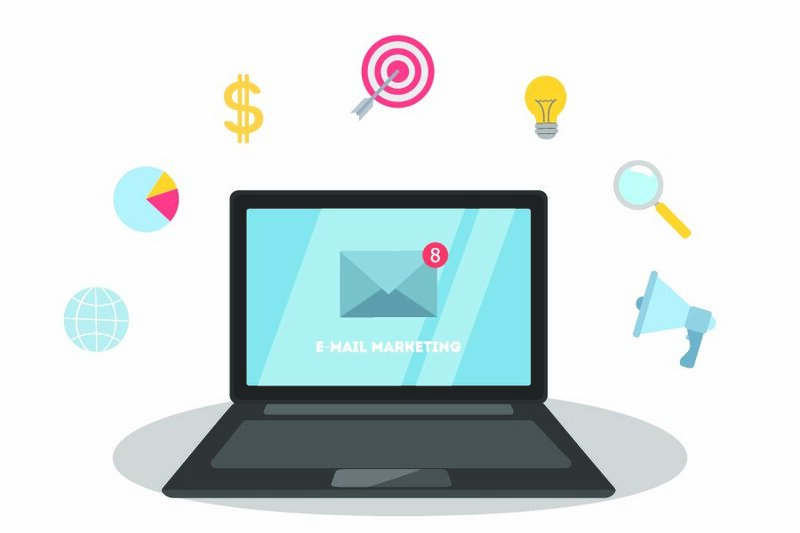 The options are endless for email marketing, and we can carry them out quickly and proficiently. Whether you want to send newsletters, product and service mailers or more, our qualified experts are here to help you. Email marketing might seem long and complex, but we’ll do all the legwork, so you can get the results you want in no time. Using innovative services, we'll send your campaigns to the perfect audience, so that you’re always ahead of the trends. Whether you have your own lists of data or need us to provide it, we’ll come up with a bespoke sending plan for you. We’ll also provide you with regular reports, so you can see the positive impact your emails are having. All of our mailers are professionally designed and tailored to suit your brand, to ensure you’re giving the right message to your audiences – any day, at any time. Plus, with over 60% of consumers reading emails on mobiles, you can relax with the knowledge that your email will be responsive across all devices – mobile and desktop. Each mailer also undergoes rigorous testing, so you can be sure it will look great across all the providers. This includes Gmail, Outlook, Hotmail and more. Want to deliver super-efficient email campaigns? We thought so. Contact us today for your free consultation, and we’ll tell you how we can help your business.